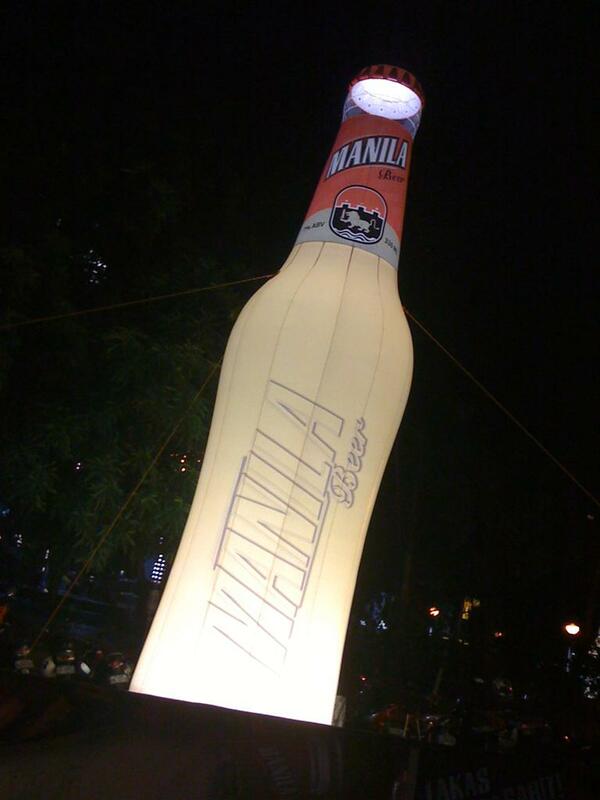 Last June 24, Manila Day, was the launching (or relaunching as a friend claims that it was first launched during the 80's) of a new booze from Asia Brewery aptly called Manila Beer. Got a VIP pass (thanks, Bev) so after an event at the CCP, I headed to Rajah Sulayman where a rock concert was mounted. It's jampacked both in the VIP area and the Roxas Boulevard side. Beer is free-flowing and so was the pica-pica (grilled chicken, calamares and more). There was a long list of bands who performed but I only caught Spongecola, Callalily and Kamikazee (who were all equally great live performers). I had a blast.